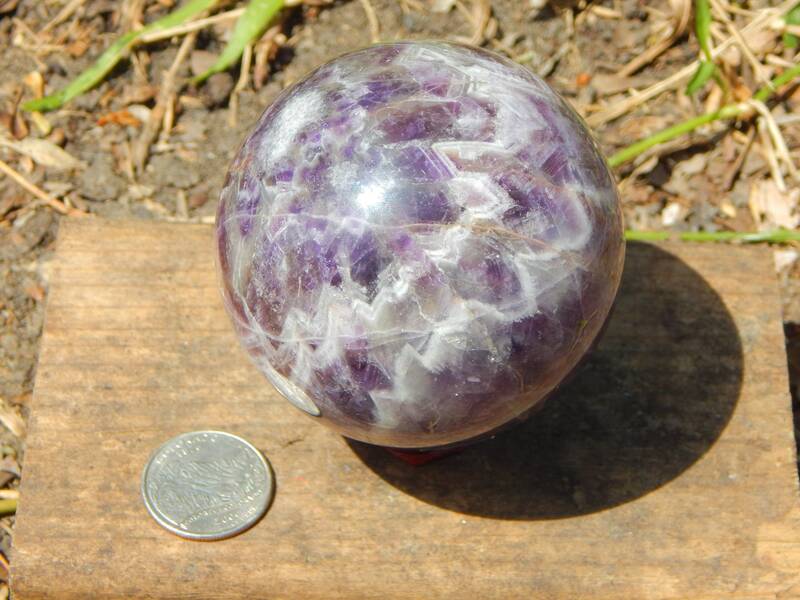 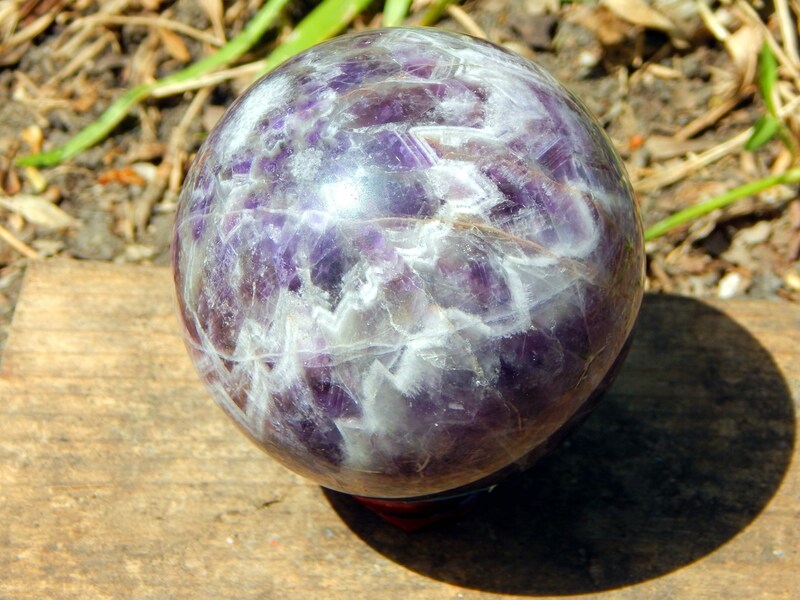 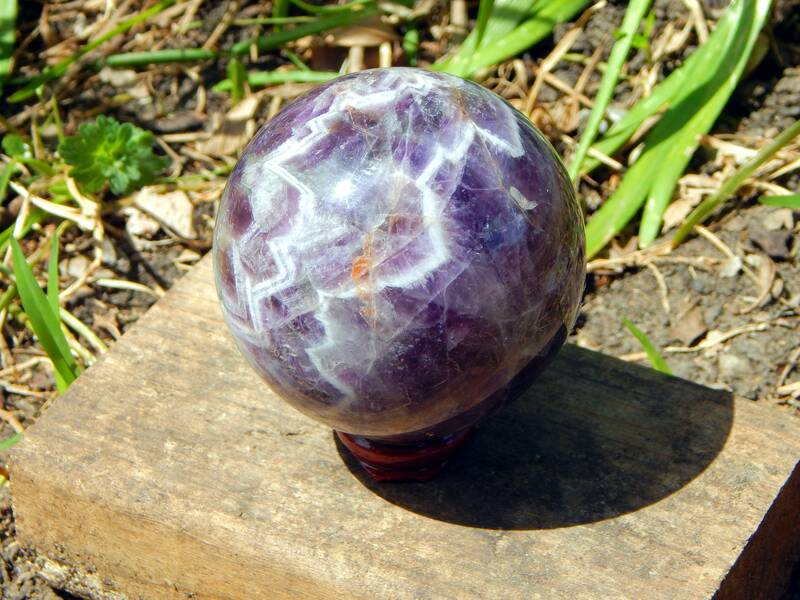 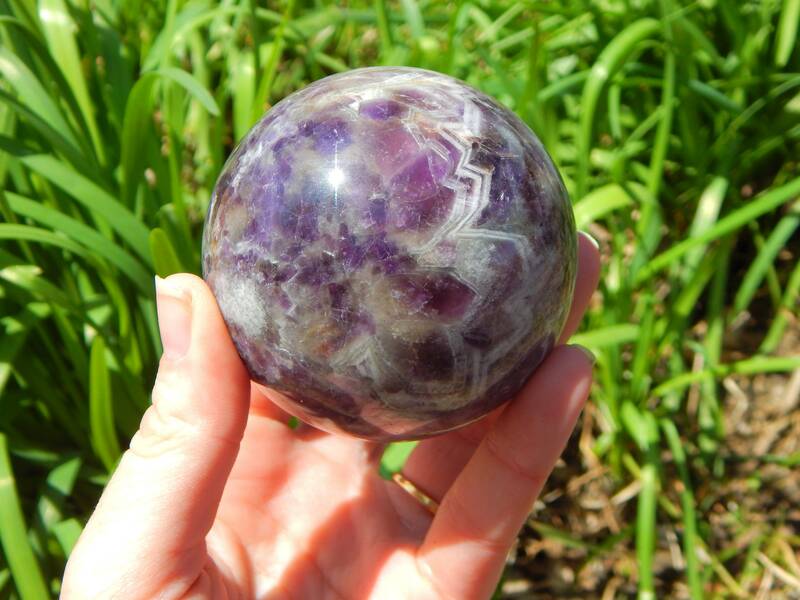 This is a one-of-a-kind eye-catching natural Chevron Amethyst sphere, measuring over 2.7 inches dia and weighing in at 17+ oz. 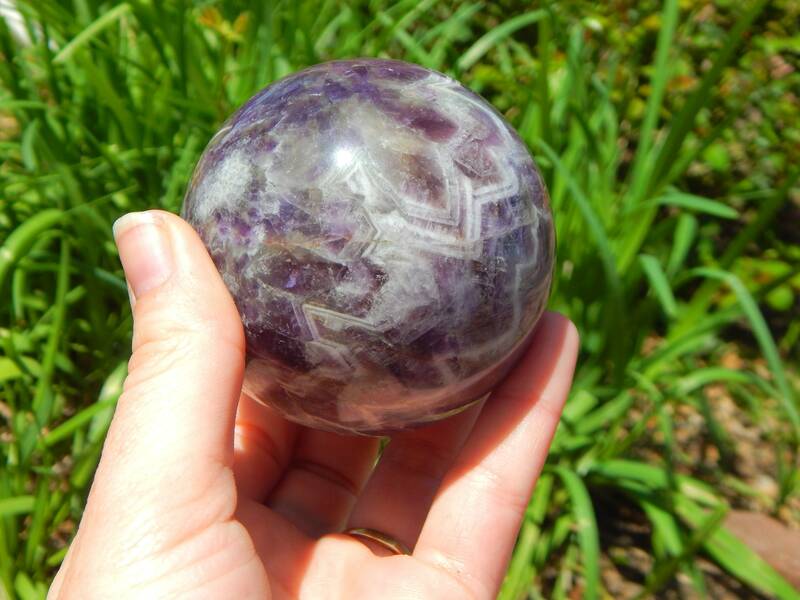 A perfect addition as an Altar decoration, scrying sphere or reiki tool. 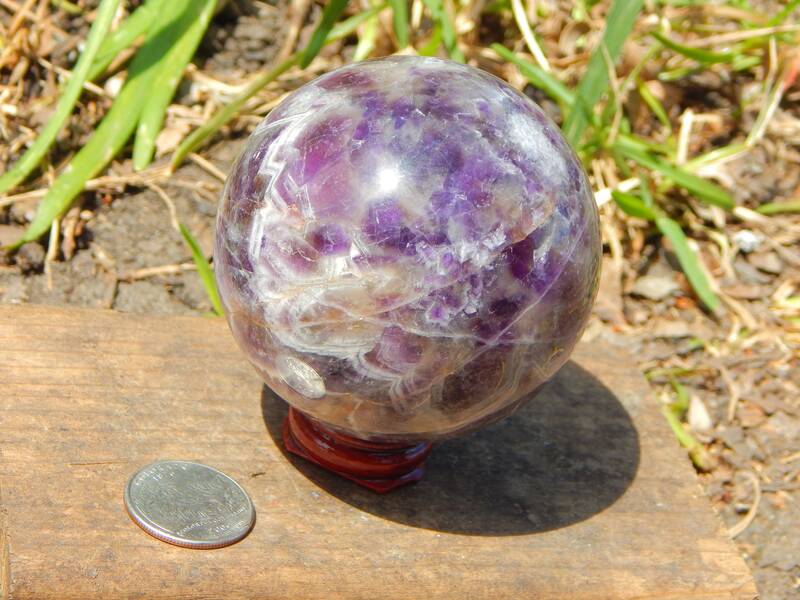 Comes with wooden stand.